Android 2.0 screenshots leaked | Android Blast! 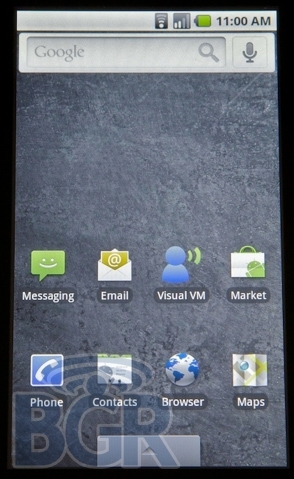 Android 2.0 hasn't been released or even announced yet but screenshots of the new OS are out. Leave it to BGR to get the scoop on this one as usual. "Android 2.0 looks to be a major improvement in Google’s mobile OS and we couldn’t be more excited about it. From native Exchange support to native Facebook support (it will sync with your contacts), browser improvements, a completely updated Maps application, unified email Inbox — there’s much, much more — and a brand new UI makeover, version 2.0 starts to make Android a really viable (and interesting) platform." Check out the full set of screenshots a la BGR at the Source link below.